312. 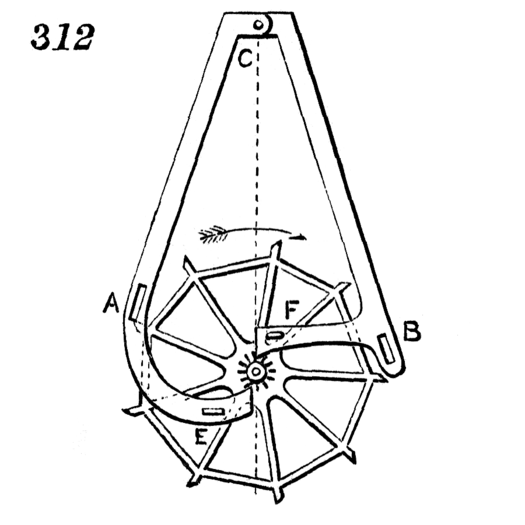 Bloxam’s gravity escapement. The pallets are lifted alternately by the small wheel, and the stopping is done by the action of the stops, A and B, on the larger wheel. E and F are the fork-pins which embrace the pendulum.